The identification of the risk factors fostering the development and progression of cardio-vascular diseases is still very worrying, an this in spite of reiterated sensibilisation campaigns, despite being an old result of research (from 1948 by Framingham). Triglycerides are used as source of energy for the cells, and they are stocked as grease reserve in the fat tissues. But they are also the grease coming from food of animal origin. The increase in triglycerides will often decrease after the reasons for this higher level are corrected. It is often linked to unknown or badly treated diabetes, or to too much sugar or alcohol consumption. Tobacco is a major risk for our heart and namely for the women’s one. While the percentage of male smokers tends to decline, it is progressing spectacularly among women. The breathing capacity of the young woman is cut by 30 % after having smoked for 2 years. Tobacco consumption is a disaster for the heart. Having more than 15 cigarettes daily multiplies the cardio-vascular risk by three, when associated to contraceptive drugs. Get help to stop smoking and ask your doctor for advice. A myocardial infarct can be reduced by half after one year after having stopped smoking, and the risk for CVA will become similar to the one of a person who has never smoked. Diabetes type 2 which has in the last years become one of the major chronic diseases. It is a real scourge among women, widely provoked by bad habits in life which influence very negatively the health. Women affected by diabetes have their life expectation reduced by 12 years. Today, obesity has become a real plague, It is a serious disease of civilization, expanding more and more. Overweight corresponds to excessive weight compared with your size (measured by calculating the BMI). When the gap is very important, you call it obesity. It can also mean, in the case of overweight and obesity, a stomach with heart problems (metabolic syndrome). This fatty material is a significant sign for any cardio-vascular risk. 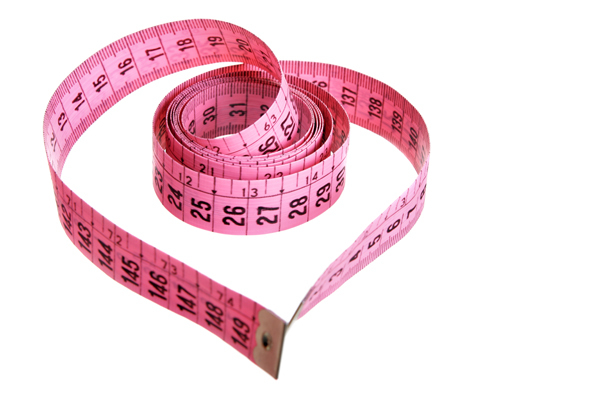 Women having a waist measurement greater than 96 cm, have their risk for a cardio-vascular disease put up to 300 %. Sedentarity is characterized by an insufficient physical inactivity. This lifestyle, representing modern civilization, is detrimental to health. Without any activity equal to a half an hour walk daily you are considered as being sedentary. It is a real nuisance for women, and the guess is that 60 to 85 % of women not practising regularly a physical activity are not taking the real health benefit from it. 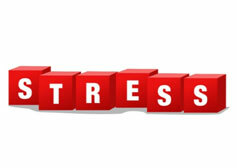 Stress is a veritable risk factor, influencing cardio-vascular diseases coming up, particularly the myocardial infarct. Numerous studies are proving that even without previous history, light depression, anxiety, feeling of powerlessness and isolation can foster coronary diseases. Emotional problems too might have a certain negative effect on health of the heart and the arteries. When being permanently under pressure, stress hormones will so much request the organism that some women will become exhausted over long time, what could lead even to an infarct. For a long time you heard saying that a women generally is protected for life against cardio-vascular diseases, due to her hormones and that it vanishes at menopause. This believe is no longer valid, because women are living differently today because they are leading an active life. Nevertheless, menopause nearly always means having a higher value of cholesterol, which has an impact on the health of a heart. Not everything can be controlled, beginning with genetic factors. It is the most unjust reason for an excess of cholesterol. When several family members have a higher value of cholesterol in the blood, you generally speak of hypercholesterolemia in the family. It is then a genetic problem and can therefore be passed over from one generation to the next one.